Shooting is the most important skill in basketball. The key to being a successful shooter is confidence and daily practice of the correct mechanics. 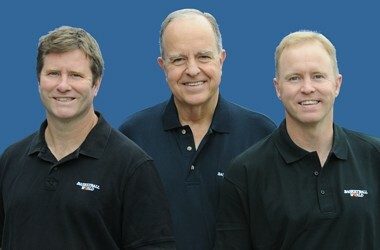 Basketball World coaches Hal, Scott and Paul Wissel are considered among basketball's "preeminent shooting coaches" and they "ignite the spirit for improvement." Shooting articles by Hal Wissel and daily progress charts are available online to view and print. Host a SHOOT IT BETTER Mini Camp at your site! SHOOT IT BETTER Mini Camps are conducted worldwide for players ranging from NBA to youth level. The Mini Camps are for players who are serious about improving their shooting and for coaches who want to learn the latest techniques for teaching shooting. Mini Camps for adults are also offered. Contact Basketball World to have a Mini Camp conducted at your site or to participate in a Mini Camp nearest you. Improve skills, compete and have fun! 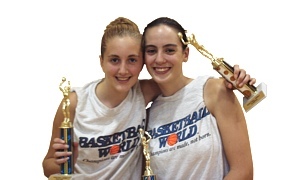 Basketball World Day Camps are conducted for players ages 8 - 18. Contact the Basketball World coaching staff if interested in having a day camp conducted at your site. A printable application for this year's Basketball World Day Camps conducted at Suffield Academy (Suffield, CT) is online now. Last year's camps sold out - register today! 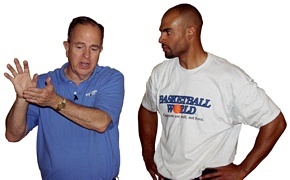 Basketball World publishes and distributes instructional basketball DVDs and books. 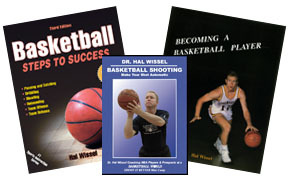 Order one of Dr. Hal Wissel's newly released Basketball Shooting DVDs or Hal's best selling book, Basketball: Steps to Success. These items, as well as exclusive Basketball World apparel and basketball equipment, are available for purchase in our online store. 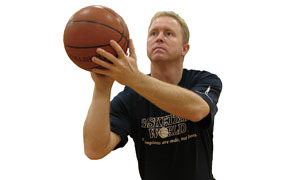 In addition to BasketballWorld.com, we have added another website called CoachWissel.com. This site is in continual development with daily updates and will provide hundreds of basketball articles, video clips and much more that will help you foster improvement.